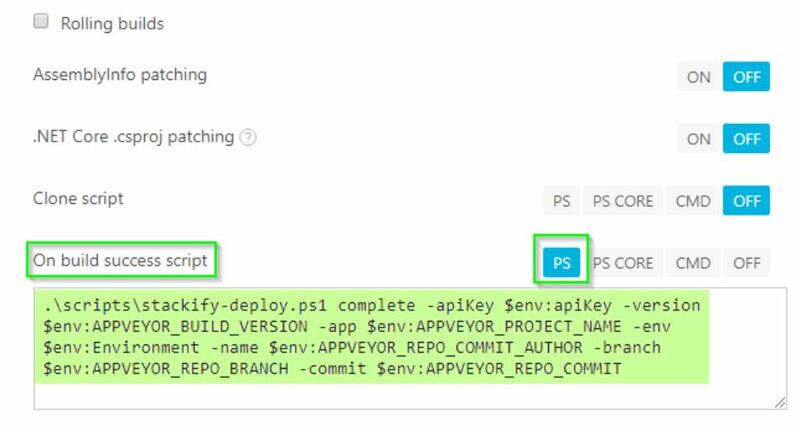 If you are using AppVeyor for your CI/CD pipeline, you can easily add a “On build success script” to your AppVeyor project. 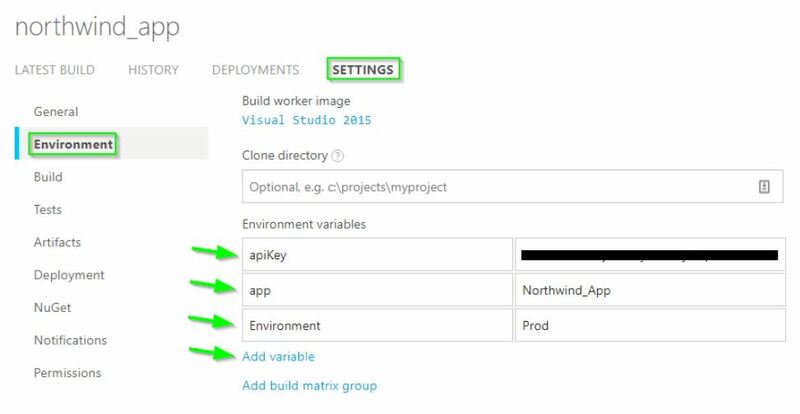 This will notify Retrace’s Deployment Recorder during or after your deployments. 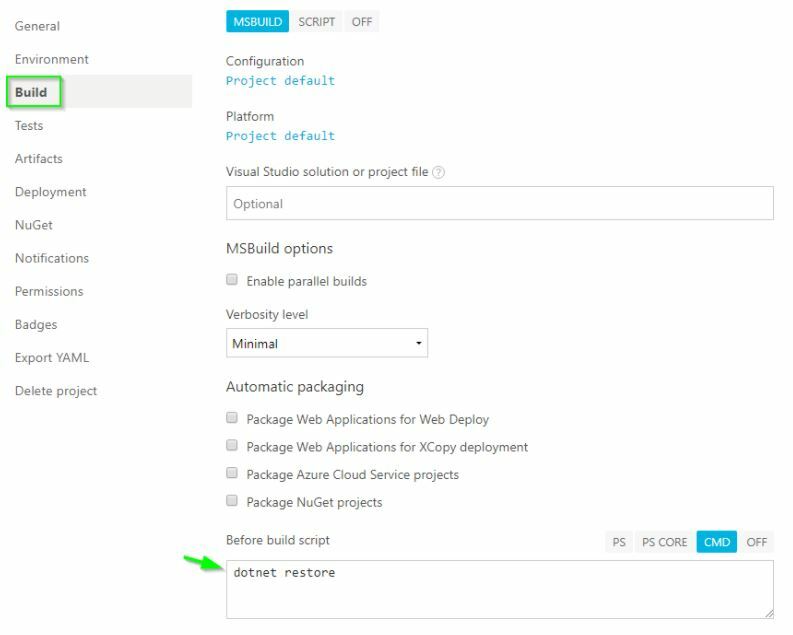 The Deployment Recorder offers three different actions (Start, Complete, and Cancel) that can be passed as arguments depending on how you are configuring the task within your existing pipeline. 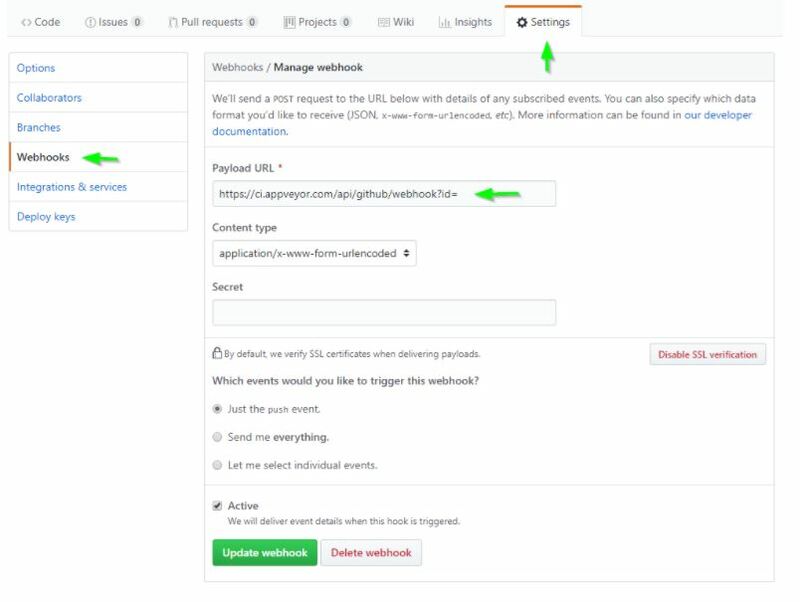 Check out our Deployment Tracking Overview guide to learn how these deployment notifications can be used within Retrace. This folder holds the powershell script called 'Stackify-Deploy.ps1' file. 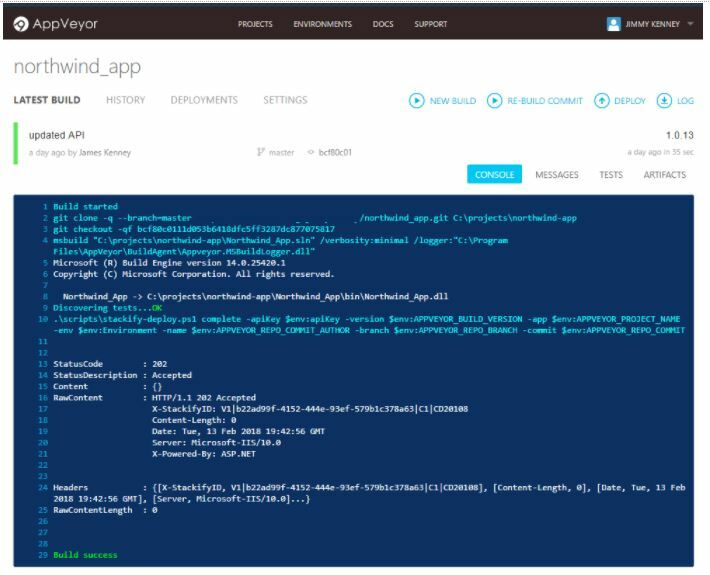 To find an example of powershell scripts, you can look here.